You are here: Virgin Islands News Online » News » Just another road accident? 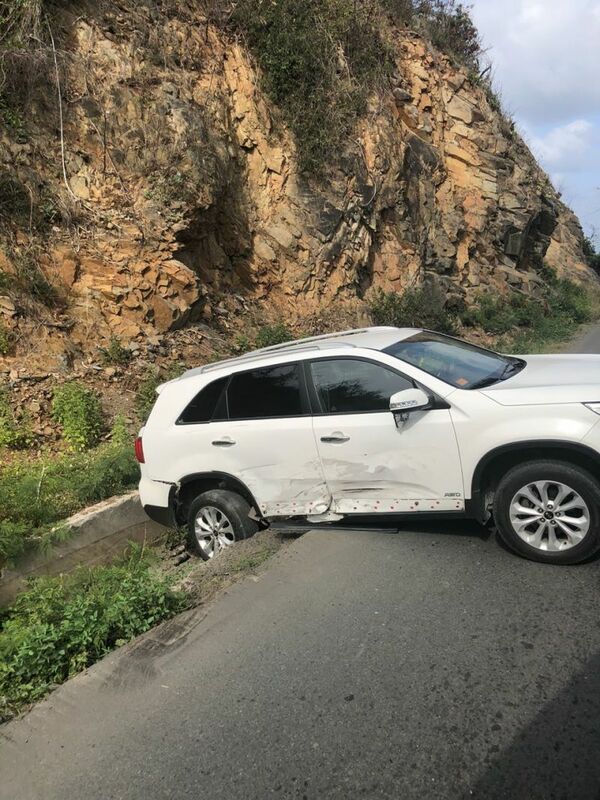 SLANEY, Tortola, VI- It was sometime after 3:00 PM today, Monday, June 4, 2018, that our roving camera noticed a white SUV in a ditch on the side of the road in the Slaney, Tortola area. 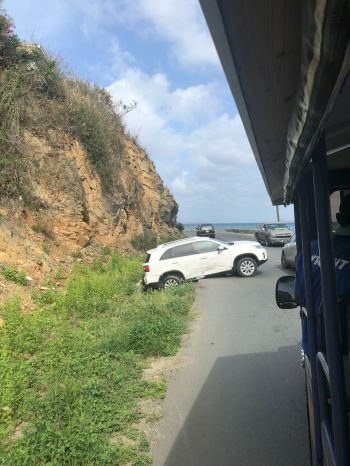 The circumstances surrounding the vehicle’s condition, such as what happened, the identity of the driver and, or number of passengers, are still unknown to this newsroom. Virgin Islands News Online is yet to ascertain whether there were any injuries as a result of the occurrence, and if another vehicle was involved. The Royal Virgin Islands Police Force Traffic Unit did not respond to inquiries from our news desk but instead advised our reporter to speak with information officer Diane L. Drayton. Virgin Islands News Online will provide an update as information becomes available. Turning around so close to a blind spot? Where did he buy his license?